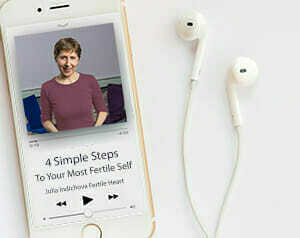 Did the Fertile Heart work help you connect with your Inner Fertility Specialist? Perhaps even guide you to identify an underactive thyroid linked to your fertility challenge? Did it strengthen your resolve to choose foods that clear up chronic menstrual irregularities that might be blocking conception? Did it help you realize how fertile you really are? Send us your stories;, we love to hear that our work is making a difference. Send us your suggestions, names of your favorite fertility specialists (mainstream or holistic) so that we can add them to our referral list. We welcome all ideas that will help us serve you better. We would love to hear about your successes – whether it’s an insight from a dream or a baby. Your stories can be an important resource for thousands of others going through this journey. Fertile Heart ‘s mission is to become a community of fertility game-changers. We can’t fulfill that mission without you. So please, write and share; sometimes a single word of inspiration can change a life.